다가오는 5월에 열릴 첫 서울 드랙 퍼레이드를 위해 준비를 시작할 시간입니다. 인스타그램과 페이스북에서 저희를 팔로우 하시고 행사 정보를 업데이트 받으세요! 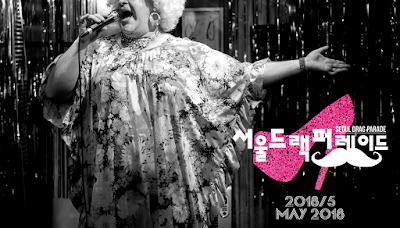 Start getting ready for the first Seoul Drag Parade that will take place in May. Follow us on IG and FB and stay tuned!